The Trust for Public Land was founded by Huey Johnson in the year 1972. The company is based out of San Francisco, California. The Trust for Public Land helps preserve natural environments such as parks, gardens, trails for people to enjoy their leisure. They are a leading conservative non-profit organization having offices in over twenty five states in the United States. However, their project spreads across all the places in the United States. The Trust for Public Land is headed by William B. Rogers who is the President and Chief Executive Officer. He is a well-known advocate for land conservation. Page Knudsen Cowles is the Chair, Board of Directors. She also serves as Trustee and Managing Director for number of other companies. The Trust for Public Land partners with Corporate to help create new playgrounds or parks in different cities. Many companies partner with them and promote the cause of preserving natural space for future generations to enjoy. The Trust for Public Land also awards individuals who do exceptional work to conserve natural reserve and contribute to the society in a positive way. They honor these people to create awareness so also inspire others to make positive contribution in conserving natural resources. They also organize tours to some of the places where the organization has helped to conserve natural reserves and the scenic beauty of the place. There are also small guided tours along with people working with Trust for Public to help people understand their work and also inspire the individuals to support their cause. Trust for Public also encourages volunteers to contribute their expertise in areas such as marketing, report writing, administration, research, fundraising and organizational development. Trust for Public also has a web store which sells books, T-shirts, gift certificate and CD's among various other things. The contribution directly goes to support activities which ensure conservation of natural space. 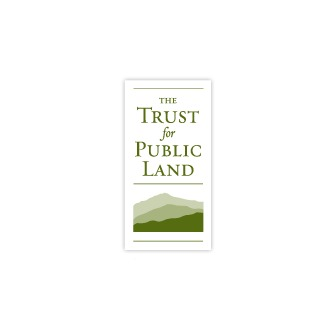 The Trust for Public Land's (TPL) mission is to conserve natural areas and resources such as gardens, parks, play grounds, forests, heritage places and water. Though TPL works across all types of land conservation, they are segmented into five groups. These 5 groups play an important role in creating and conserving parks and playgrounds in the neighborhood for children. Supporting agriculture, ranches and forests helps in preserving rural lifestyle. TPL also helps preserve natural scenic places and animals which are found in these places. Another area TPL focuses on is the heritage places which are of historic importance. TPL conserves waterways and helps to preserve the beauty of natural water. TPL also helps to provide solutions to environmental problems. Some of their initiatives in this area include conserving land and water from natural disasters such as flood, fire, hurricanes, etc. Climate mitigation initiative includes preserving forests, deforestation and planting trees to increase absorption of carbon dioxide. Since greenhouse gases is the major issue linked to climatic changes, any effort taken in this area will go a long a way in preserving our planet. TPL provides services such as technical assistance and conservation campaign services among others to identify and help raise funds by local, federal or other agencies to create parks and land conservation. They also buy land and create playground, parks and other natural areas. These are then transferred to public agencies for future maintenance. TPL's award winning Greenprinting GIS tool helps identify vulnerable lands which need protection. It also helps in identifying places in communities where parks are needed most. TPL also helps in renovating playground and parks. It supports newly acquired lands with design ideas and maintenance. The design ideas are taken from people who will be the end users and this helps in getting the cooperation of the community into the mission of the organization. Trust for Public (TPL) was initially founded by a group of professions that included lawyers, real estate and finance professionals. The idea of establishing the company was to bring in the expertise of both legal and finance professionals to conserve natural areas. They also wanted to bring in a modern approach to conservation of land and water. Today, TPL has helped in completing over 4,250 parks and other conservation project throughout the United States. TPL established Conservation Finance Service in the 1990's to help in conducting conservation ballot measures. TPL helped preserve drinking water, working ranches and farms. With their expertise they help conserve natural scenic places. Current projects include addressing different threats to our environment. Some of the initiatives which TPL has taken are to reduce greenhouse gasses, creating parks and climate smart cities. From its foundation, TPL has helped complete projects in 46 states conserving over 2.8 million acres. TPL has also helped in design and completion of over 350 ballot measures. This helped the organization in raising funds over $25 billion for conservation projects. TPL helped in building 15 playgrounds and parks between 2007 and 2008. TPL regularly conducts number of researches and maintains reports, databases on funding sources for conservation. These include maintenance of the LandVote, Conservation Almanac and the National Conservation Easement databases (NCED). Their research services help many organizations and government agencies to raise funds for conservation. TPL publishes a magazine called "Land & People" which talk about their work throughout the nation. 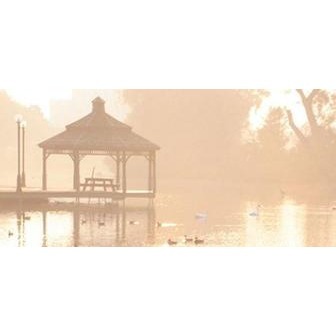 TPL's Center for City Park Excellence's (CCPE) provides extensive research on constructing parks. This information has become an important instrument for government agencies, decision makers, organizations and communities to plan and build parks successfully. TPL incorporates the link between physical wellness and parks through inputs from the health practitioners. Incorporation of this information in their research makes it an excellent tool to helping decision makers to go ahead with building parks and playgrounds.